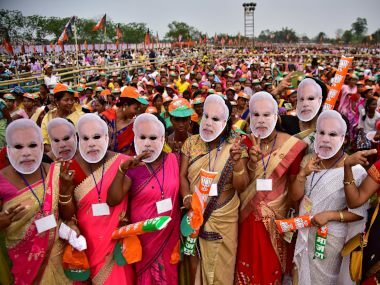 If Narendra Modi has invited recessionary pressures on the economy by opting to clean it up first instead of pursuing double-digit, inequitable growth — as this article argues — he must stay the course now without taking recourse to a 'public-spending' booster shot and deviating from fiscal discipline. The cost of profligacy at this stage would not only be high, it will derail much of the good work that the NDA and the RBI have done. However, slow nursing of the economy back to health is possible only if it has not been irrevocably grounded, as former finance minister Yashwant Sinha has alleged. Policymaking cannot be a theoretical exercise. It involves real people who are in real stress due to structural revamp and shoddiness on the implementation side. If too many sectors become traumatic, relaxation of fiscal deficit target might become a necessity. Therefore, fiscal discipline can be maintained only if macroeconomic fundamentals are strong and the economy is resilient enough to withstand a few more quarters of sluggish growth. In short, does Modi have time enough in his hands to normalize demand without taking a shortcut? Critics are saying he has run out of time. They are painting a grim picture. They allege that Modi is tipping the economy over a precipice, and accuse him of gross economic mismanagement. Some have predicted that he will pay a heavy political price for creating such a mess. If economic theories are postulations minus accountability, any number of conclusions might be drawn, limited only by the theorist's political inclination and imagination. Has the economy really been grounded, as former finance minister and the critics are suggesting? Are we hurtling towards Armageddon? He argues that these 'third-generation reforms' will take some time to bear fruit but once they do, a "robust economy" will be created where growth will remain sustainable. In his words, "These structural reforms are not just desirable, they are necessary to create a ‘New India’ and provide good jobs for our billion-strong workforce. The new economy that is being created will be much more transparent, globally cost-competitive, and innovation driven. Importantly, the new economy will also be much more equitable thereby enabling all Indians to lead better lives." In so far as the need for structural reforms is concerned, the civil aviation minister has a compelling case. Indian economy needed to be rescued from the quagmire of corruption and populism of UPA years and no action that can qualify as 'reform' is without costs. It is also specious to argue that Modi has "destroyed the economy through disruptive steps" and simultaneously claim that the prime minister is 'all jumla' and no action. 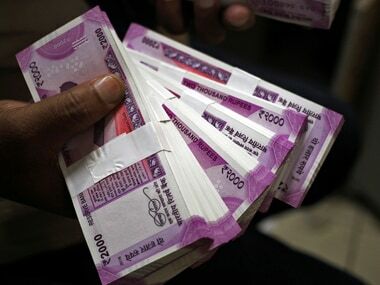 Annat Jain aptly points out in Hindustan Times that "structural reform is thankless: costs are borne upfront, and rewards come later… For years, it was the very absence of these structural reforms that armchair foxes have bemoaned. Now that the reforms are occurring, the foxes are coming out of the forest, and unwilling to pay the price, claim that these are ill-timed, ill-conceived or ill-executed." The dispute, then, isn't that structural reforms are unnecessary. It is whether the economy is strong enough to withstand the collateral damage. The trouble with Sinha junior's argument is that instead of addressing and refuting his father's core contention — that economy is in dire straits — he paints a picture of future possibilities. Promise of a rosy future cannot mitigate the crisis at hand. So how deep is the crisis? According to Sinha senior, the former finance minister in Atal Bihari Vajpayee regime, the Indian economy is in doldrums. He makes a series of observation in his much-quoted piece published in The Indian Express: "Private investment has shrunk as never before in two decades, industrial production has all but collapsed, agriculture is in distress, construction industry… is in the doldrums, the rest of the service sector is also in the slow lane, exports have dwindled, sector after sector of the economy is in distress." How sound are Yashwant's claims? To begin, let us look at export figures. Yashwant claims that "exports have dwindled". He didn't cite any data, so it is unclear which figure he based his argument on. The reality is that exports have risen for 12 straight months, and exporters have posted a growth of 10.29 percent to $23.81 billion during August 2017 on a year-on-year basis, according to data from ministry of commerce and industry. A report published in Hindustan Times, quoting a ministry statement, states: "Exports during August, 2017 have shown growth of 10.29 percent in dollar terms valued at $23,818.83 million as compared to $21,597.09 million during August, 2016,” backed by increase in exports of major commodity groups such as "engineering goods (19.53 percent), petroleum products (36.56 percent), organic and inorganic chemicals (32.41 percent), drugs and pharmaceuticals (4.21 percent), and RMG of all textiles (0.56 percent)." Yashwant says that "industrial production has all but collapsed", but a turnaround is already visible in some indices. Automobile sales, for instance, have shot up. Vehicle sales have posted double digit growth in passenger, commercial and two-wheeler categories. Four of India's top six automakers, reports The Financial Express, have registered "massive increase in domestic sales in September" and this trend is expected to continue. Maruti, India’s largest passenger car manufacturer, reported an increase of 10.3 percent in its domestic sales last month compared to the same period last year, top passenger car exporter Hyundai Motor India reported a growth of 17.4 percent, Tata Motors recorded sales of 17,286 units — a growth of 18 percent over September 2016 — and Honda Cars posted a growth of 21 percent, according to the newspaper. Citing data from Society of Indian Automobile Manufacturers (SIAM), news agency PTI reports that total two-wheeler sales in August grew 14.69 percent to 18,91,062 units compared to 16,48,871 units in the same period last year. It quotes SIAM DG Vishnu Mathur, as saying: "The growth in the two-wheeler segment is a reflection of the rural market coming back to normalcy with the impact of demonetisation wearing off." There has been a 15.63 percent rise in domestic air passenger traffic in August over the same period last year, up from 12.43 percent growth registered the month previous. Overall, the picture isn't quite compatible with the image of Armageddon that Sinha and some critics have painted. According to Sinha, "for quarter after quarter, the growth rate of the economy has been declining until it reached the low of 5.7 percent in the first quarter of the current fiscal, the lowest in three years. The spokespersons of the government say that demonetisation is not responsible for this deceleration. They are right. The deceleration had started much earlier. Demonetisation only added fuel to fire." There is some truth in his statement that demonetisation halted the economy and subjected it to a shock therapy. As this writer has argued previously, Modi prioritised transparency and formalisation over pursuit of growth. This was a conscious decision arising out of a conviction that the electorate wants him to clean up the act instead of maintaining status quo. He may well be wrong in his choice and mistaken in his conviction (and consequently will pay a political price, sooner or later), but at least Modi acted where most prefer to sit on fence. The point about "quarter after quarter" of declining growth is an exaggeration. In the globally interconnected markets, to assume that India is insured from global upturns and downturns is impractical. VK Vijayakumar, Chief Investment Strategist, Geojit Financial Services, writes in Business Standard, "The present downturn in the Indian economy has come at a time when global growth is recovering. If global growth continues to improve and the domestic growth continues to falter, that would be a serious concern." India's GDP witnessed a growth for seven straight quarters since Modi came into power, and has declined in the last five quarters with the sharpest downturn coinciding with demonetisation. Allowing for the downturn introduced by currency ban, the decline in growth matches the trend in emerging markets. China has slowed down, and so has Indonesia and, as Omkar Goswami points out in The Economic Times, it may have something to do with the "disappearance of oil bonanza." The alarmism being peddled from some quarters seems to have a political motive which Modi critics have happily bought into. In matters of economy, however, stitching of narratives is trickier because these are subjected to data verification. India's macroeconomic stability is sound and seems strong enough to resist demonetisation and shoddy GST aftershocks. Sajjid Z Chinoy, chief India economist at JP Morgan, had expanded in July how India's macroeconomic stability sits at odds with near-term slowdown. 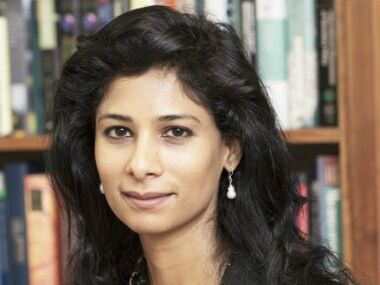 The writer gave high marks to the Modi government for its structural reforms in the fields of Aadhaar, bankruptcy law, GST and codification of the new monetary policy framework and had noted how India has dramatically become a "safe haven among emerging markets" by successfully solving a mini balance of payments crisis in 2013. 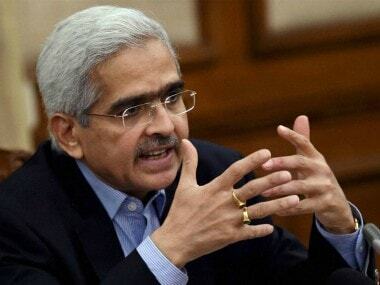 He also praised the government for "dramatic reduction in inflation" and wrote in his piece for Livemint that these reforms will "help facilitate the much-needed 'creative destruction' of capital, and the new monetary framework will ensure that inflation never again gets entrenched at 10 percent. These are not small gains. This, then, is the first narrative governing the Indian economy: heightened macroeconomic stability combined with stronger medium-term growth prospects." Chinoy also sounded a note of caution, however, on the 'twin balance sheet problem' that could create substantial "headwinds" for the economy. The truth about economy, as always, lies somewhere in the middle. Neither has it "crash landed", "tipped over the precipice", nor is it soaring. Modi government has already ensured macroeconomic stability through some structural changes, now is the time to work hard and maintain fiscal discipline, which is already under pressure from reckless waiving of farm loans. As for Yashwant's prediction, let me leave the reader with a prediction from Swaminathan Aiyar in The Times of India, where he urges finance minister Arun Jaitley not to deviate from the path of prudence. "The economy has been hit by short-term shocks imposed by demonetisation and the launch of GST. But the shocks will gradually fade away, resulting in a bounce-back of growth in 2018. 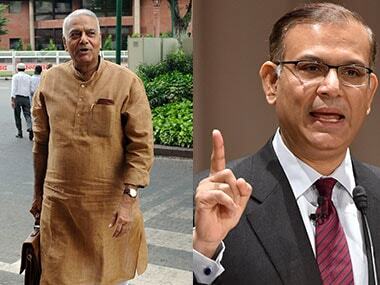 There is no evidence of a coming hard landing, as predicted by Yashwant Sinha." Narrative peddlers should take a much-needed break.